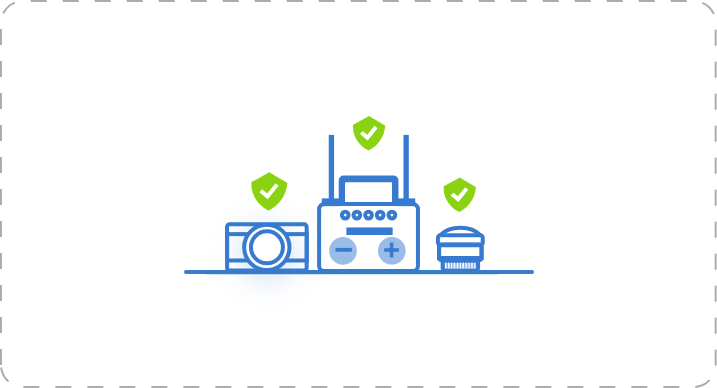 We offer two layers of coverage that work together to provide comprehensive protection. Around-the-clock protection against ground-based risks. 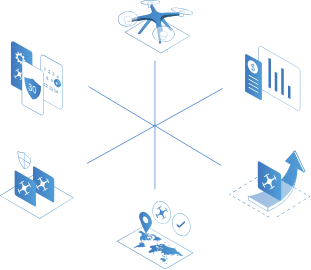 Base coverage is billed monthly and provides coverage for your business when your drones are not in flight. Base Coverage is added on a per-drone basis & paid monthly during the 12-month policy. Base Coverage can be extended to include Physical Damage protection on a per drone basis. 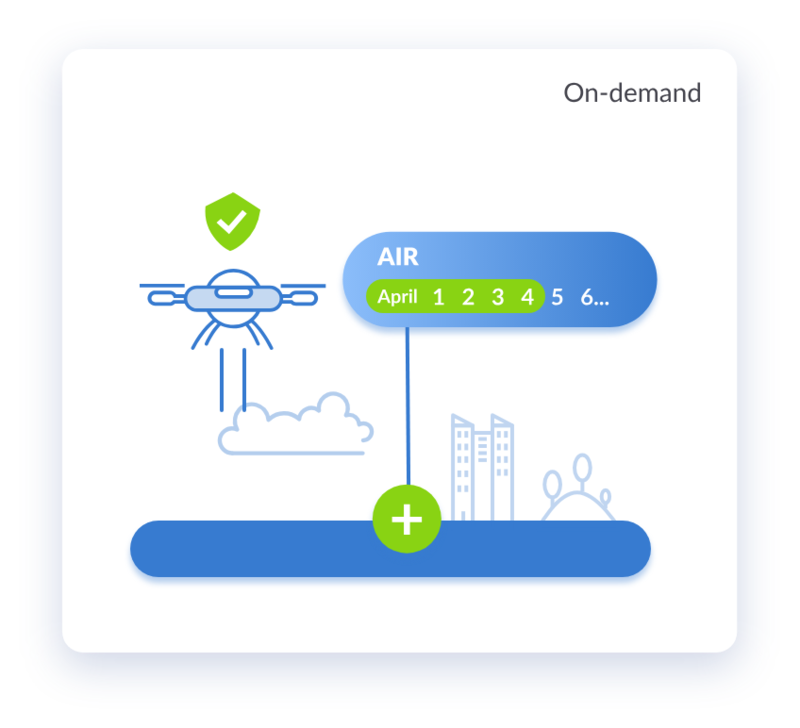 On-demand coverage for in-flight risks. Rates vary based on insured values. most trusted and respected insurance companies. Policies are insured by Liberty Mutual Insurance Europe SE (LMIE). Liberty Specialty Markets is the trading name of LMIE. 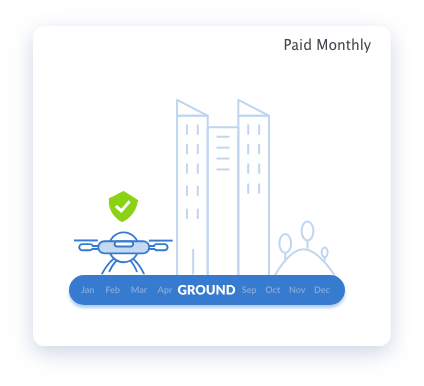 Monthly premium payments for around-the-clock coverage for your business while your drones are not in the air. 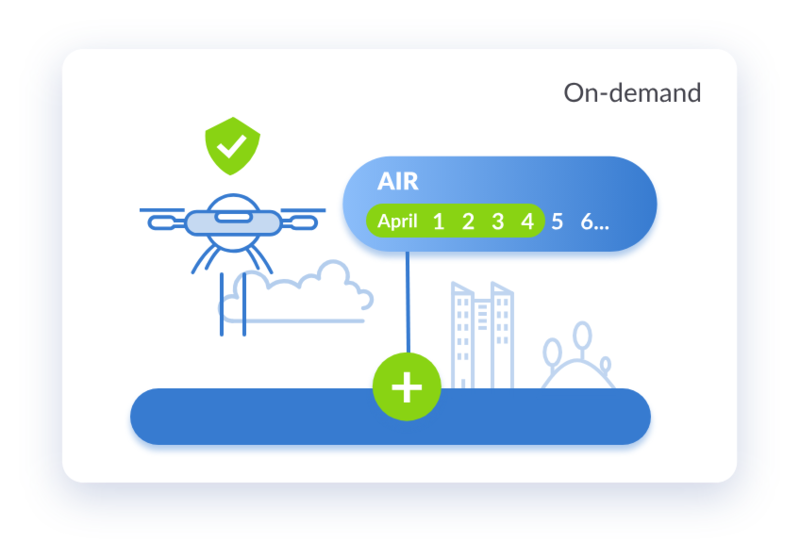 On-demand flight coverage only when you need it. Adding coverage for sensors and ground equipment is easy and can be added for a wide variety of leading systems. 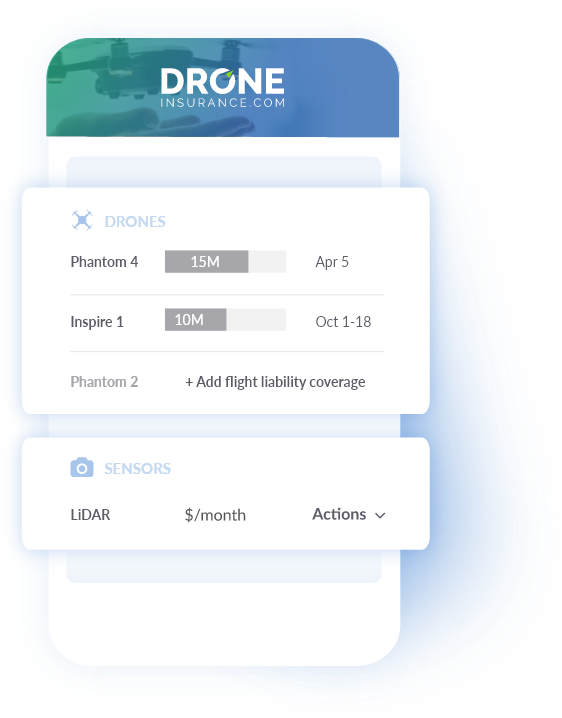 We simplified how to manage insurance with a snapshot of coverages on each drone, sensor, and ground equipment. Users can see which assets have coverage, and the amount and duration of coverage. Schedule Flight Coverage in advance or the day you’re flying. 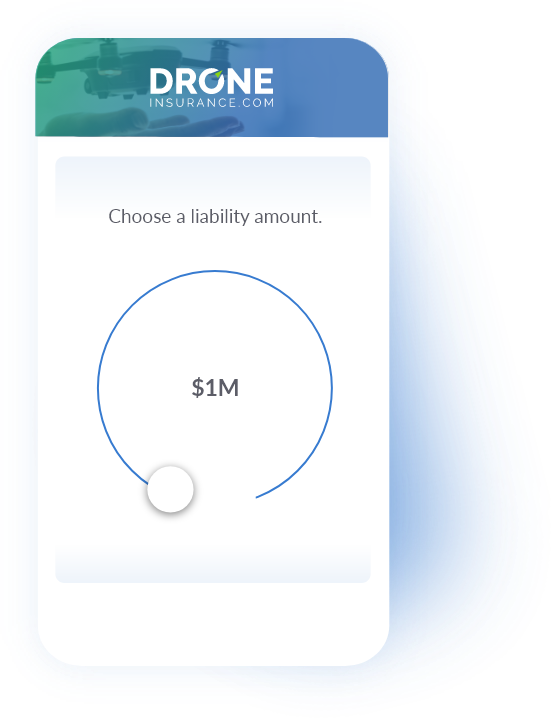 Choose the amount of Flight Liability Coverage needed, select the intended uses for the drone, then set the duration you’d like the Flight Coverage to be active. When adding or editing Flight Liability Coverage, easily designate Additional Insureds with just a few key strokes.  DroneInsurance.com also enables users to download Certificates of Insurance to print or email. 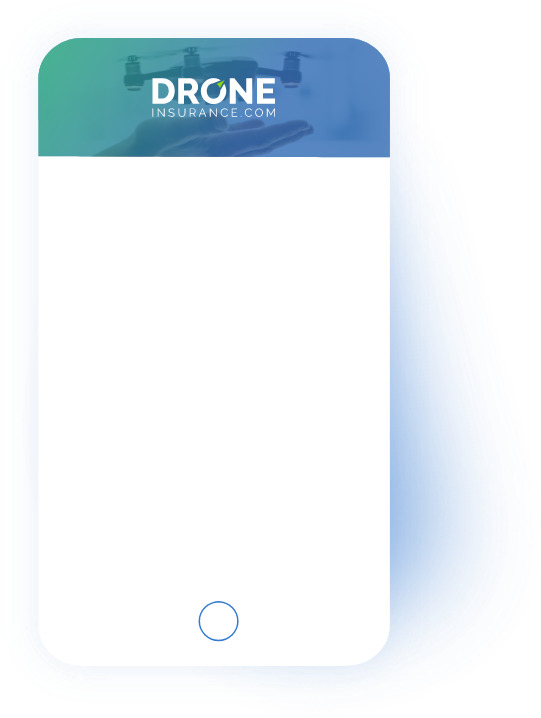 Upload claim-related photos, video or the drone’s flight log, answer a few questions, and click ‘submit’ to start your claim. of our claims submission process. almost everywhere in the world. This page is for marketing purposes.